Mr Nwafor Chike aka CHYKOO (a pet name giving to him by his parents) is a lagos based, blessed artist. he was formerly in a group called '19TH STREET' but has recently gone solo and now a full time gospel artist but he prefers the term 'minister'. 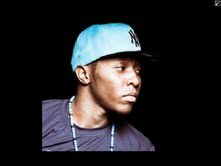 CHYKOO studied Computer Science at the University of Benin where he got his first degree and practically started his music career. he grew up in a christian home but never really paid attention, until the 7th of april 2013, when he got born again and decided to use his music to serve and worship the Lord. Here is a marvelous tune fresh out of the gospel kitchen, which he title's 'MOVE FOR YAHWEH' which he features another wonderful act SLYMKEYS. please download and be blessed.